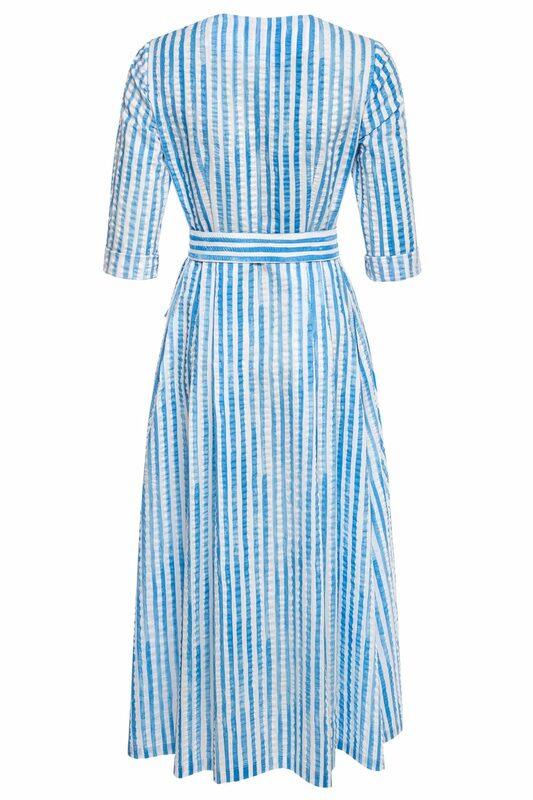 The Ellen dress is cut from lightweight seersucker cotton in a relaxed shape and detailed with matching buttons through the front. Temper the relaxed fit by cinching in the waist with the detachable self-tie belt. 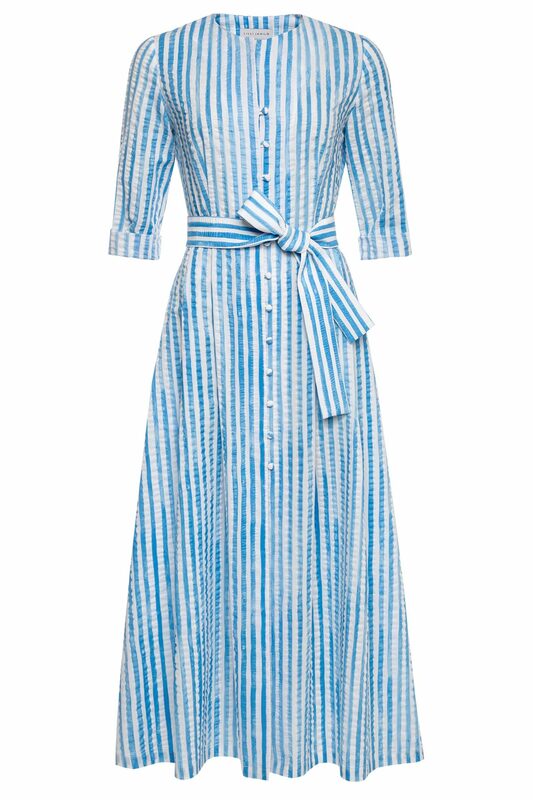 Styling tip: As a super easy vacation piece, throw it on over your swimsuit after a dip in the pool, or team it belted with sandals for dinner outdoors.